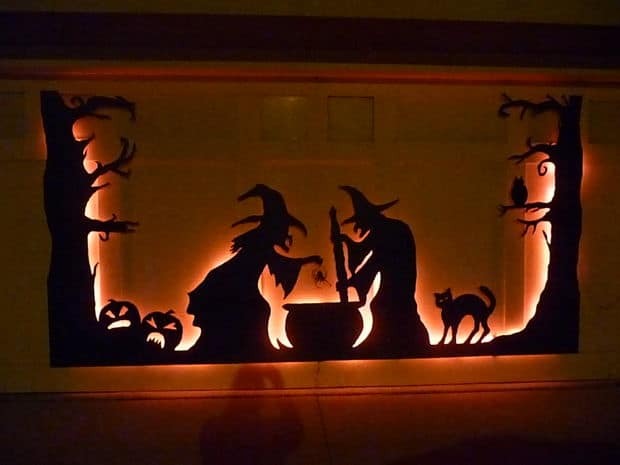 Halloween is fast approaching so now is the time to start making your Halloween decorations. 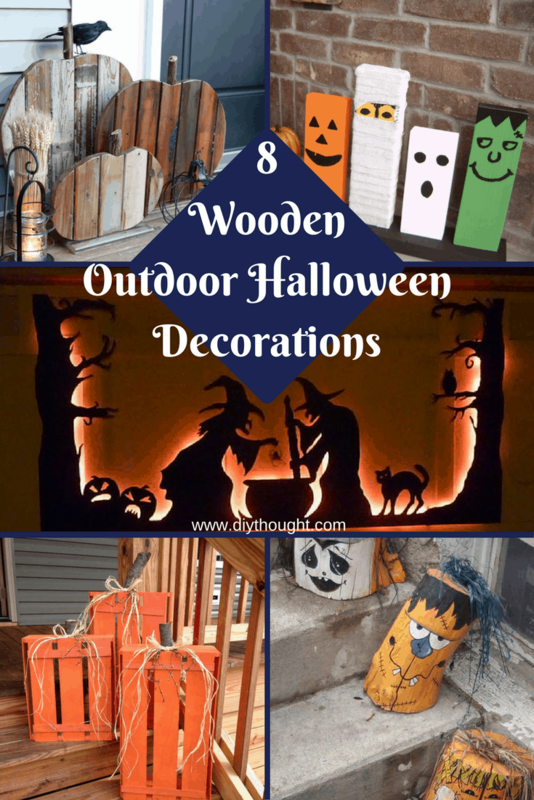 These 8 diy wooden Halloween decorations are all perfect for decorating the front porch and yard. All are made from wood so you can bring them out year after year! This adorable spooky family is simple to make. Cut out wood to size and attach to the base before painting and decorating. 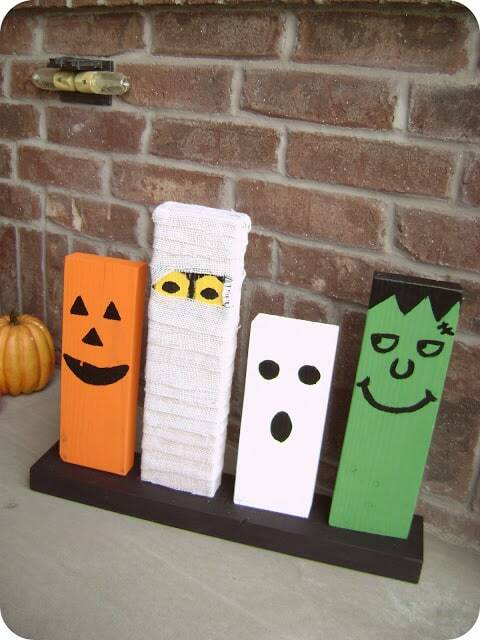 This wooden Halloween decoration is a great one for kids to help with. Source found here. 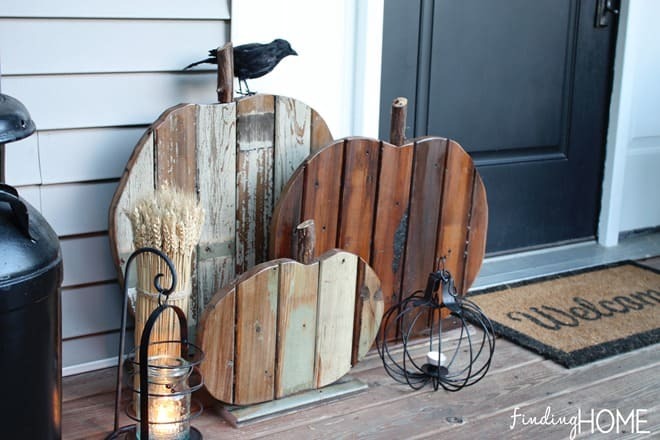 These reclaimed wood pumpkins create a truly beautiful front porch display. This step-by-step tutorial explains the entire process in a simple to follow detail so you can feel assured that you will have an amazing end product. 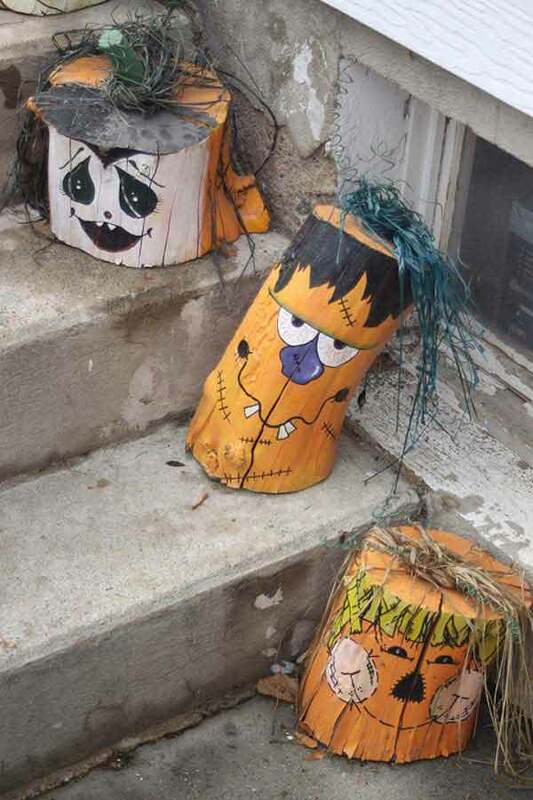 If you are stumped on what to make for Halloween then try these stump pumpkins. Find a stump and then freehand paint a spooky pumpkin face. Source found here. 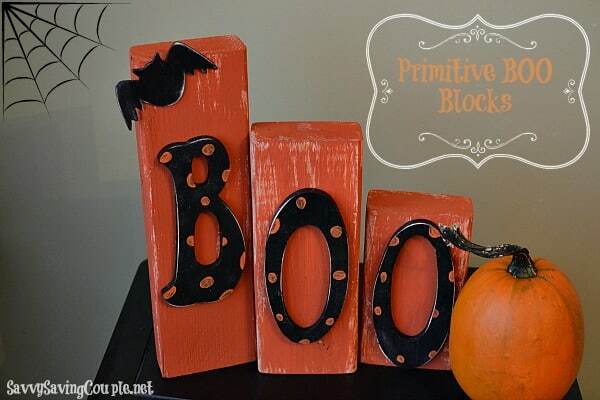 Make this boo sign as big as you need to fill the space you are decorating. Such a simple project which will add that finishing touch. Click here to view the tutorial. Super cute yet so simple to make! 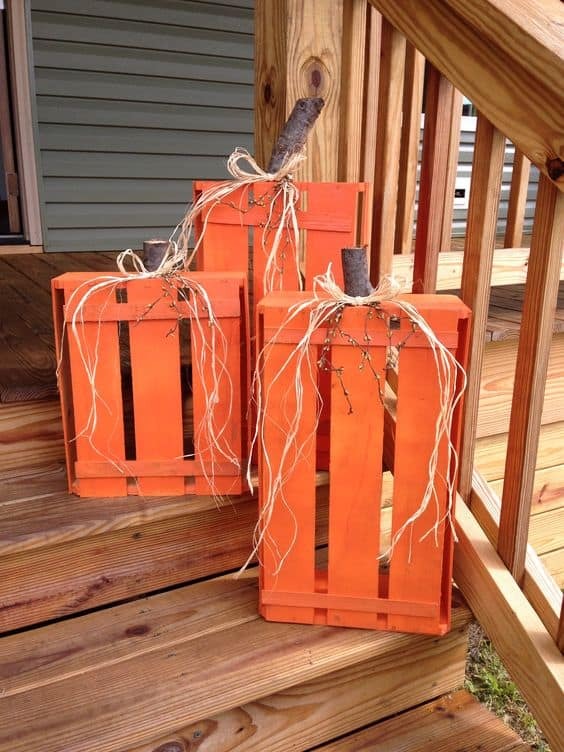 Grab a crate and paint, it really can’t get much easier than this. Follow this link to get the full tutorial. 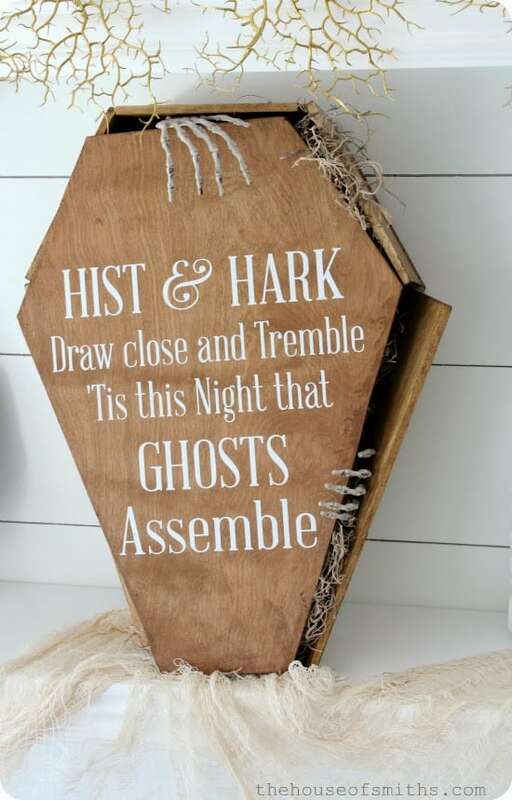 A creepy coffin is perfect to add a bit of spooky fun to your Halloween entranceway. We love the addition of the skeleton hands, eek! Click here to get the full tutorial. Which direction will you take? 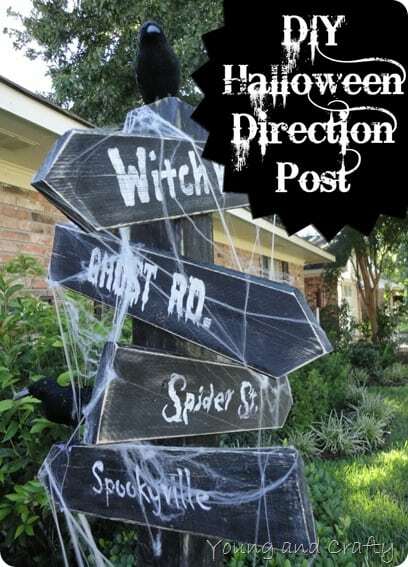 This is one super spooky direction post! Get the tutorial by clicking here. 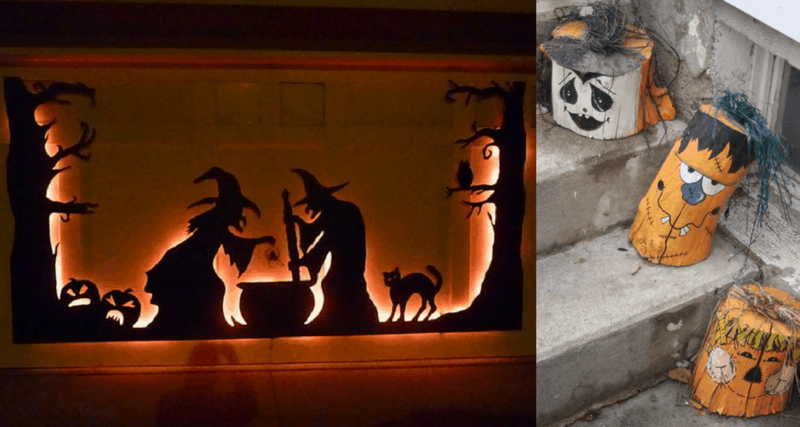 A creepy witch silhouette is a great way to decorate a garage door. Making silhouettes are also fantastic for the garden or by the door! The lighting on this silhouette really makes it stand out! Click here to view the full tutorial.